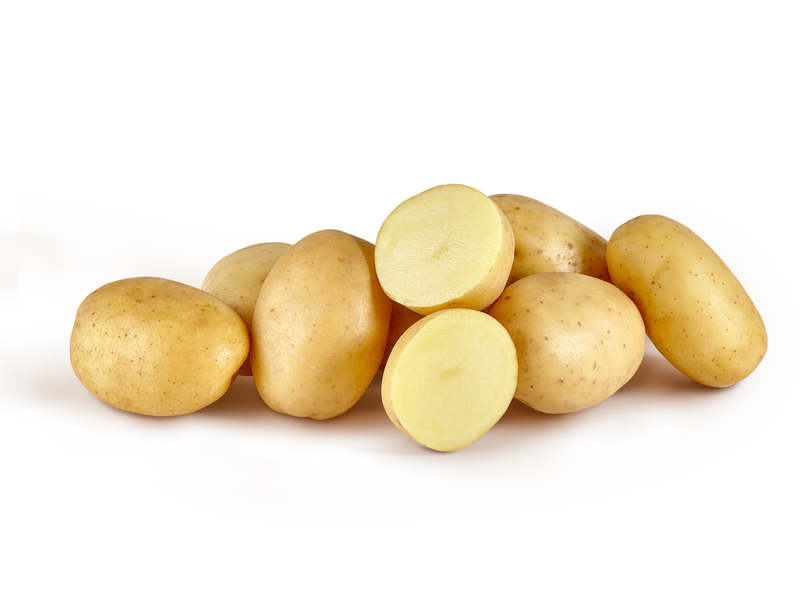 Bologna, Veneto, Piedmont, Picardie, Beauce, and Champagne… From the early ‘70s, Freddi has selected and managed a supply chain involving potato farmers in the areas with the soil best suited to this tuber, in Italy, France and other countries throughout Europe. The varieties selected in terms of quality and popularity include the Monalisa from Holland, the Marabel from Germany, the traditional Bintjie and the new variety, Actrice. Monalisa has a very “attractive” skin and a yellow flesh. It is regular in size and round-oval in shape. This variety has many uses and is very widespread. It has a good resistance discoloration and outstanding storability. Marabel has a truly appealing oval shape, an irregular skin and intense yellow flesh. It is ideal for selling in bags and for consuming without the skin. It is superb cooked and maintains its texture when boiled. The classic Bintjie variety was voted the potato of the year in 2012. It is famous above all for making excellent fried potatoes and crisps, also thanks to its sweet, creamy taste. Finally, the Actrice is a relative new variety in Italy but has already achieved huge success thanks to its pleasing, regular round-oval shape and unbeatable taste. How are potatoes stored best? To prevent them from sprouting and producing an excessive amount of solanine, it is best to store them in the dark, in a cool, dry place all year around (at around 10°C), such as a cellar or larder. From a nutritional viewpoint, potatoes are very filling, rich in starch, vitamins C and B, folic acid and mineral salts such as potassium and phosphorus. They are very easy to digest and are recommended in low-calorie diets as a substitute for cereals.